The late Father Raymond Brown once wryly noted that it was not very often that the genealogy of Matt 1:1-17 is rarely the subject of a Christmas homily, or we would say of a sacrament meeting talk or Family Home Evening lesson. But there is a LOT to learn from it, even if it is not strictly historical. Perhaps you will find this excerpt from Good Tidings of Great Joy, 20-28, a bit useful. Old Testament genealogies, however, served an important function in establishing kinship, confirming a family’s position in the House of Israel, and validating claims to important royal or priestly positions. [ii] In that regard, the genealogy that Matthew uses as the beginning of both his Infancy Narrative, and indeed as the beginning of his Gospel, provides an important bridge between the Old and New Testaments. Some questions about this genealogy still remain unanswered, such as where Matthew got his information and how accurate it was in some of its lesser-known details. For instance, did he have access to official archives, family traditions, or popularly circulating genealogies, and were these complete and always correct? Matthew’s account of Jesus’ genealogy begins with the words “The book of the generations of Jesus Christ, the Son of David, the son of Abraham” (Matthew 1:1). These three names provide pivotal points of reference for the genealogy, which proceeds in descending order from Abraham to David (Matthew 1:2–5), then David to the Babylonian exile (Matthew 1:6–11), and finally, the exile to Joseph, the husband of Mary (Matthew 1:12–16). The significance of Abraham is seen first in his role as the father of the covenant people of God. God’s promises to Abraham are recounted in Genesis 12–17, with a focus on specific covenants that God made with Abraham in regard to the promised land and his numerous posterity (see Genesis 15:18–21; 17:1–16, 21). The importance that the Jews of Jesus’ day placed on being the seed of Abraham is seen in their claims to Jesus later in his ministry (see Matthew 3:9; Luke 3:8; John 8:33), and Matthew’s listing of the genealogy begins by making it clear that Jesus was in Abraham’s promised line. However, one of the earliest promises that the Lord made with Abraham was that in his seed “all the families of the earth should be blessed” (Genesis 12:3, emphasis added; cf. Genesis 22:18). The expansion of this promise in Abraham 2:10–11 makes it clear that an important aspect of the Abrahamic covenant is that as many who accept the Gospel, both those of Israel and of the Gentiles, are counted as the seed of Abraham and become heirs of the blessings of the priesthood. Significantly, Paul, writing in the century after Jesus’ birth, taught that this blessing came to all nations through Christ himself, who was the “seed” of Abraham in a very specific way (Galatians 3:14, 16). In other words, while much of the genealogy of Jesus focuses on his role as the Son of David and the king of Israel, the reference to Abraham can also be seen as expanding his role as a blessing to all nations and peoples. [iv] This is an important aspect of the rest of Matthew’s Gospel, because although overall he seems to have been a “Jew writing for Jews,” he also seems to have been writing when a growing number of Gentiles were coming into the Church, and there are important references to Gentiles in his gospel. [v] Thus the emphasis on Abraham stresses the importance of Jesus to both Jew and Gentile. Matthew begins the second section of the genealogy by noting, “And Jesse begat David the king; and David the king begat Solomon . . .” (Matthew 1:6, emphasis added). In this section, which features not only David and Solomon but, with a few exceptions, all of the other succeeding kings of Judah, only David is called “the king.” This emphasizes the fact that David was the greatest and most successful king of ancient Israel, and as such he provided the standard for his successors. Though his failings and mistakes are well-known, David was recognized for always being faithful to YHWH, or Jehovah. As a result, the Lord made a covenant with David, promising that he would establish the kingdom of his seed and “establish the throne of his kingdom forever” (2 Samuel 7:13). While this Old Testament passage continues by applying it in the first instance to David’s immediate successor, Solomon, it ends by stressing again that the Lord will keep this covenant in perpetuity, telling David that “thine house and thy kingdom shall be established for ever before thee: thy throne shall be established for ever” (2 Samuel 7:12–16). Because Matthew’s reference to the exile in Babylon emphasizes that the kingdom of Judah came to an end with David’s descendants losing the throne (Matthew 1:11–12), Matthew prepares us to see that the Lord’s covenant with David would be realized in some other way. This is revealed in the ending of the third section of the genealogy, which concludes with Jesus, “who is called Christ” (Matthew 1:16, emphasis added). By using this title, Matthew indicates that despite the loss of the kingdom, Jesus is not only David’s kingly heir, but, in fact, the messianic culmination of the promises made to David. The term Christ literally means “the anointed one” (Hebrew māšîaḥ, Greek Christos). While the Davidic kings and properly installed high priests were all originally anointed and hence had all been “messiahs,” by the time of Jesus, the promised Son of David who would be the ultimate future king came to be seen as the Messiah. [vi] Thus, in Jesus was born the messianic king who would rule and reign in Israel forever, thereby truly fulfilling God’s covenant with David. This emphasis on Jesus as the Davidic Messiah helps explain the importance of the expression “Son of David” in Matthew. While it occurs four times each in Mark and Luke, its use is a particular feature of Matthew’s Gospel, where it appears 10 times with its importance emphasized in the Infancy Narrative, both in the genealogy and in the next section. [vii] Matthew emphasizes this overarching importance of Jesus’ Davidic heritage by suggesting the name “David” in the very structure of the genealogy. Summarizing the pedigree at its end, Matthew writes, “So all the generations from Abraham to David are fourteen generations; and from David until the carrying away into Babylon are fourteen generations; and from the carrying away into Babylon until Christ are fourteen generations” (Matthew 1:17, emphases added). The importance of the number fourteen lies in the fact that it is the numerical equivalent of David’s name in Hebrew. [viii] While Greek is the language of the text of Matthew’s gospel and there seems to be no indication that he wrote earlier versions in either Hebrew or Aramaic, this Hebrew equivalent was apparently well-known to Matthew and presumably many of his audience. That this structure of three sections of fourteen is, in fact, more important than some of the list’s details can be seen in the fact that the three periods of time covered by the genealogy actually represent very unequal amounts of time—roughly 750, 400, and 600 years respectively. Not only are these supposedly equal divisions not very likely historically, they also do not all strictly consist of fourteen generations: the first has 13 generations with 14 different men listed; the second has 14 generations with 14 men; and the third has 13 generations with 14 men only because the first one listed, “Jeconias” (the Old Testament Jehoiachin, also known as Jeconiah), is repeated from the end of the second section. Further, Matthew occasionally omitted names in the first and second sections that are otherwise known from the Old Testament. In other words, Matthew apparently needed to be selective to achieve the repeating structure of fourteen generations to produce the symbolism of “David” in the repeated number fourteen. [ix] Nevertheless, Matthew’s selectivity does not change the fundamental truths that his genealogy sought to establish: that the miraculous baby of this Infancy Narrative was the son of Abraham, a blessing to both Israel and all nations, and, above all, the Son of David. At the same time, the story of Jesus’ genealogy recalls many other Old Testament stories, each of which displays God’s providence in raising up Jesus and shows the roles that individuals played in that plan. For instance, some of the names in the first section, such as the patriarchs Isaac and Jacob, immediately call to mind the Lord’s renewal of the covenant with Abraham’s heirs. But in both of these cases, the sons receiving the promises were not actually the firstborn, Ishmael having been born before Isaac and Esau before Jacob. Likewise, Judah, through whose tribe the kings and eventually the Messiah were to spring, was the fourth son of Jacob, not the first. Rather than being the result of natural birthright, the favored status of these figures was the result of their own faithfulness and, to a certain extent, the individual unrighteousness of their older siblings. But the favoring of younger children also reflects the exercise of God’s sovereign will, demonstrating his right to choose whom he would. This post is also posted at http://huntsmannewtestament.blogspot.com/2015/01/teaching-matthews-genealogy.html. [i] See Brown, Birth of the Messiah, 64–66, and A Coming Christ in Advent (Collegeville, Minn.: Liturgical Press, 1988), 17–18. [ii] D. Kelly Ogden and Andrew C. Skinner, Verse by Verse: The Four Gospels (Salt Lake City: Deseret Book, 2006), 31. [iii] See the extensive discussions of Brown, Birth of the Messiah, 57–84; Vermes, Nativity, 18–28; Borg and Crossan, First Christmas, 81–93. [iv] Richard Neitzel Holzapfel, Eric D. Huntsman, and Thomas A. Wayment, Jesus Christ and the World of the New Testament (Salt Lake City: Deseret Book, 2006), 65. 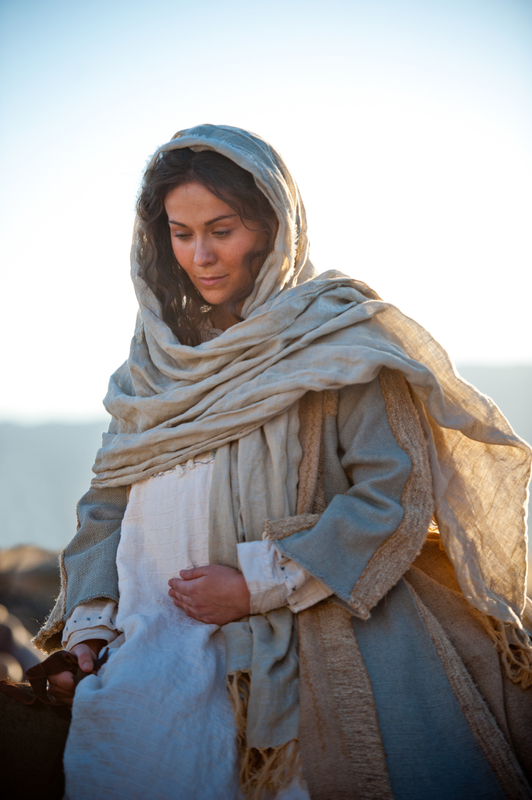 [v] See the possible symbolism of the women in Jesus’ genealogy discussed in this chapter and of the Magi in Matthew 2:1–12 treated in chapter 4. Other references include Jesus’ prophecy in 8:11 and the centurion’s testimony that Jesus is the Son of God in Matthew 27:54. See also the discussion of Brown, Birth of the Messiah, 47, 67–68, 72–74. [vi] Borg and Crossan, First Christmas, 132–36. [vii] Brown, Birth of the Messiah, 134. [viii] Brown, Birth of the Messiah, 74–81; John Nolland, The Gospel of Matthew, New International Greek Testament Commentary (Grand Rapids, Mich.: Eerdmans, 2005), 86–87; Ogden and Skinner, Verse by Verse, 32–33, who also note that 14 is double seven, the number of completeness. According to gematria, or the system of assigning numbers to letters, the Hebrew name David, without vowel points, is Dwd. The number fourteen is then arrived at according to these values: daleth (4) + vav (6) + daleth (4) = 14. [ix] Brown, Birth of the Messiah, 74–84; Borg and Crossan, First Christmas, 87–88. [x] Brown, A Coming Christ in Advent, 19–23. [xi] Brown, Birth of the Messiah, 71–74, and A Coming Christ in Advent, 23–24; Nolland, Gospel of Matthew, 73–78; Vermes, The Nativity, 21–23; Borg and Crossan, First Christmas, 88–93.